동백나무는 차나무과에 속하는 나무로 우리나라를 비롯하여 일본·중국 등의 따뜻한 지방에 분포하고 있다. 우리나라에서는 남쪽 해안이나 섬에서 자란다. 꽃은 이른 봄에 피는데 매우 아름다우며 꽃이 피는 시기에 따라 춘백(春栢), 추백(秋栢), 동백(冬栢)으로 부른다. 마량리 동백나무 숲은 서도초등학교에서 4.5㎞ 정도 떨어진 바닷가의 낮은 언덕에 위치하고 있다. 언덕에서 조금 더 올라가면 동백정(冬栢亭)이라는 아담한 정자가 있는데 이곳에 80여 그루의 동백나무가 흩어져 자라고 있다. 강한 바람을 받아 키가 작은 편이며, 2∼3m에 이르는 나무는 땅에서부터 줄기가 2∼3개로 갈라지면서 곁가지가 발달하여 나무의 모습이 둥근모양을 하고있다. 이 숲은 500m쯤 떨어진 마을의 바람을 막아주는 방풍림을 목적으로 만들어졌다고 하지만 그 기능은 찾아보기 어렵다. 전설에 의하면 약 300년 전 이 지방의 관리가 꿈에서 바다 위에 떠 있는 꽃다발을 보고 바닷가에 가보니 정말 꽃이 있어서 가져와 심었는데, 그 심은 꽃이 현재의 숲을 이루었다고 한다. 그 후 사람들은 해마다 음력 1월에 이곳에 모여 제사를 올리며 고기잡이에 재앙이 없기를 빌었다고 한다. 마량리 동백나무 숲은 우리나라에서 몇 안되는 동백나무숲으로서 동백나무가 자랄 수 있는 북쪽 한계선상에 위치하고 있어 식물분포학적 가치가 높다.또한 풍어제 및 전설을 간직하고 있는 숲으로서 문화적 가치도 높아 천연기념물로 지정·보호하고 있다. 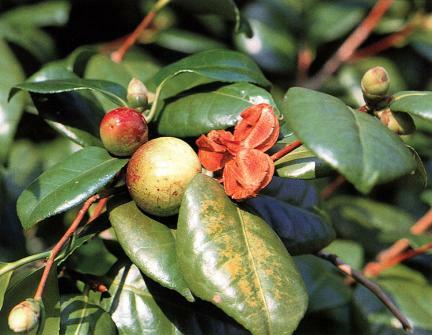 The Camellia has lustrous, thick leaves and blooms red flowers in early spring. 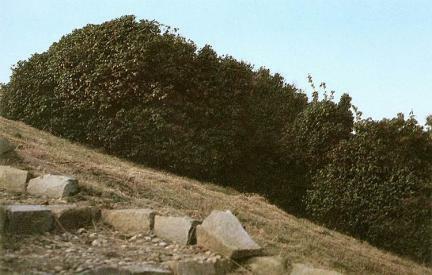 The Camellia grows in Japan, China, and Korea. 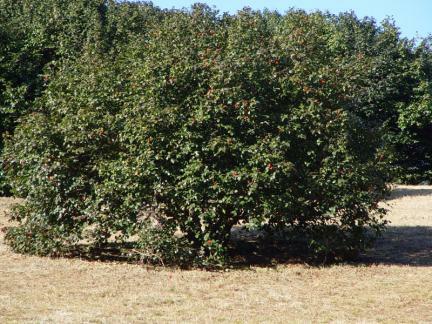 Depending on the blossoming season, this tree is called "Camellia in spring," "Camellia in fall," or "Camellia in winter." 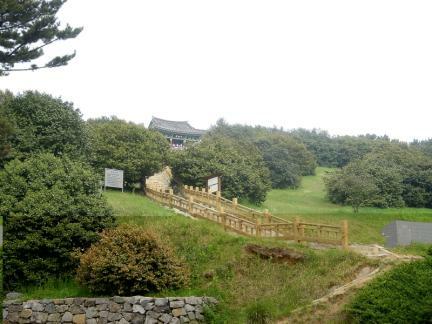 The Camellia in Maryang-ri stands on the hill about 4.5km from Seodo Elementary School. 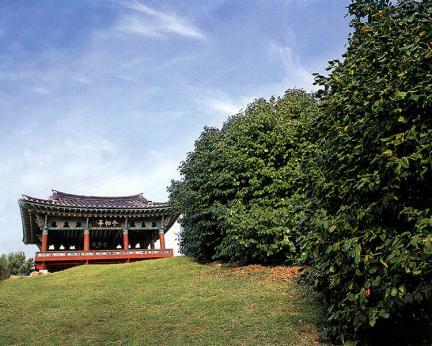 On the upper part of the hill is a pavilion called Dongbaekjeong (Camellia pavilion) where more than 80 Camellias grow together. This Camellia is rather small and is divided into 2~3 branches. 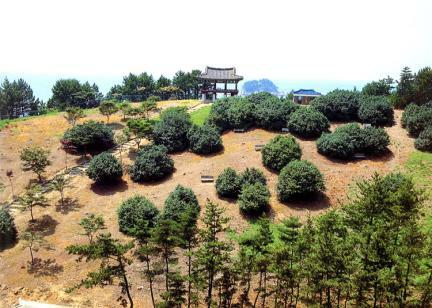 The Camellia forest was formed to protect the village against strong winds. According to legend, about 300 years ago, a government servant living in this region dreamed that he saw a bunch of flowers on the sea. After waking up, he went to the sea and actually found the flowers, so he planted them. 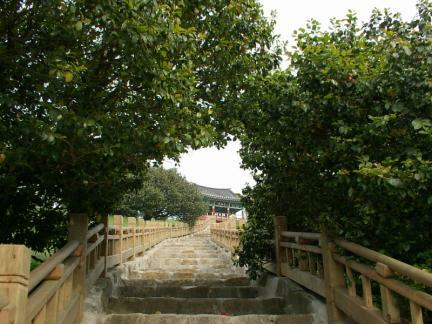 The flowers became this forest of common camellias and the villagers perform a ceremony for this forest for a big catch and good luck every January by the lunar calendar. 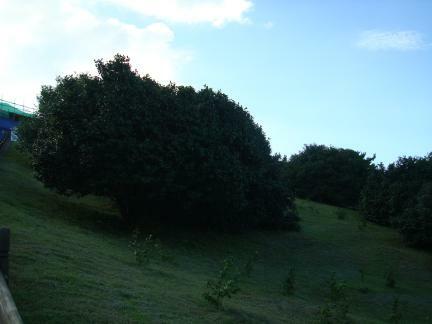 Being the northernmost habitat, the Forest of Common Camellias in Maryang-ri is designated and protected as a Natural Monument.